Writer Elliott Holt wins us over with her twitter fiction. People have been writing fiction on Twitter for a while now, but the results have largely been uninspiring. Consider “Black Box,” a short story by Jennifer Egan that The New Yorker tweeted out, one tweet per hour, for 10 nights in May. Egan is a terrific writer, and it was exciting that The New Yorker was experimenting with the form—but the result was a delicate literary soufflé that crumbled in on itself. Egan’s beautifully composed tweets were like foreign travelers who had no idea where they’d turned up. The problem was shrewdly dissected by Anne Trubek at BuzzFeed. Twitter, she wrote, “is about links, connections, back-and-forth and running jokes.” The writer Matthew Battles had a similar reaction. 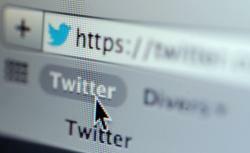 “Fiction in Twitter needs to be porous, open to the stream in which it flows,” he tweeted. Part of the problem, Trubek concluded, was that Egan, who doesn’t operate a Twitter account, knew none of the shortcuts or secret handshakes. From there, Holt builds an engrossing literary experience from unlikely materials: bits of (fictional) social media. She reconstructs Brown’s final hours on earth through the tweets of three guests at the party at which the woman died—@margotburnham, a public relations executive and hostess; @simonsmithmilla, a worldly Londoner “who knows people”; and @elsajohanssen, “a self-described ‘Swedish fashion designer.’” (In a cute nod towards the kind of Internet fantasies one encounters IRL, Elsa is really “an American citizen who was born in San Francisco.”) The three characters have distinct voices—and by telling the story through them, Holt embraces Twitter for what it is, rather than trying to bend it into some tool that it isn’t. With its simultaneous narrators and fractured storyline, this is not the kind of tale that could march steadily across a continuous expanse of white space. It’s actually made for the medium. Holt appreciates Twitter’s pithy humor—she uses #hashtags galore—as well as its errors (“Can’t bloody type on this thing,” gripes one character), its shout-outs (“I’m wearing @alexanderwangny,” brags another) and its banality (“Why is it so hard to get a cab?” wonders a third). As a result, scrolling through the tweets will make you laugh with recognition—but they also add up to an addictive, suspenseful whole, as you piece together the reality behind them. Someone has probably already written a dissertation on Twitter as our culture’s great factory of dramatic irony; it’s about time a fiction writer bends this quirk to her own ends. In a final twist, Holt left the cause of Brown’s death mysterious, and has asked readers to tweet their verdicts with the hashtag #twitterfiction accompanied by #accident, #homicide, or #suicide. After you read the story, you can see what people are saying on her Twitter feed.